Elizabeth has a very unique creative style. 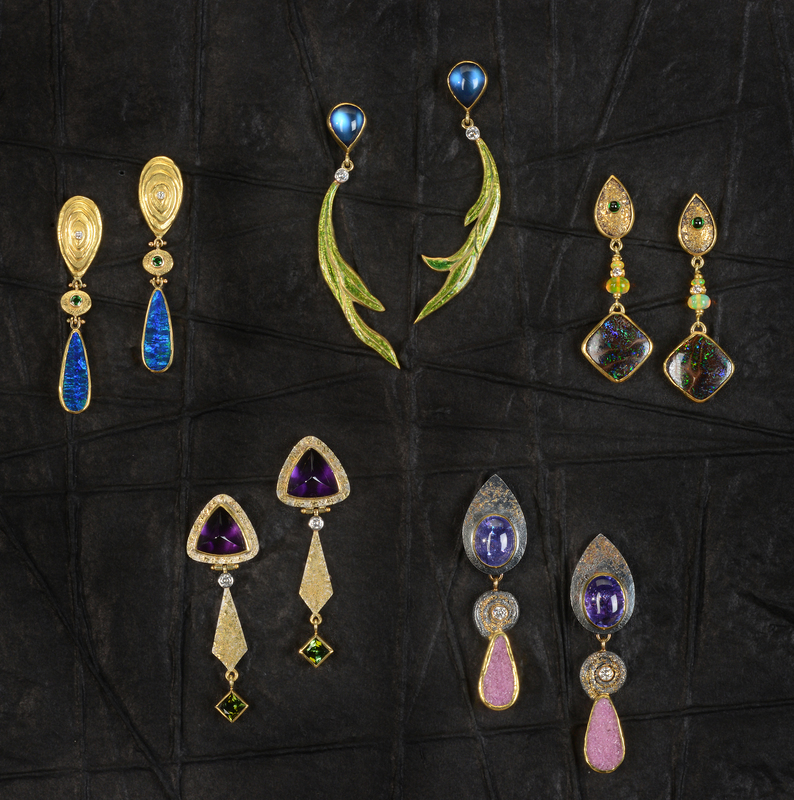 An enamellist and jeweler, her work is an expression of her life and has been influenced by her love of traveling to exotic countries. Elizabeth grew up north of Boston, MA. She earned degrees from the University of New Hampshire and her MA from University of Massachusetts. She spent 3 years in the Peace Corp in Dakar, Senegal, where she learned jewelry techniques from El Hadji Seck. Elizabeth’s goal is to create objects of beauty which will be appreciate by others and meaningful to people who own them. She expresses no interest in the current, hi-tech innovations in the jewelry industry, such as CADCAM, hydraulic presses and other inventions designed to eliminate or replace high-skill processes that have been developed through the centuries. It is important, she believes, to pass along techniques and skills to others so that there remains no unbroken line of knowledge in craftsmanship. Have seen your necklace you made for Debbie . Schreiner . Am interested in one similar and your other creations. How can i view? to discuss the piece. We look forward to hearing from you.